Johannes Gmeinder, Matthias Höfer and Richard Morschel sympathized whenever they performed in the Frankfurter Opern- und Museumsorchester or in chamber music projects. As a consequenze they founded the trio pleyel in 2005. 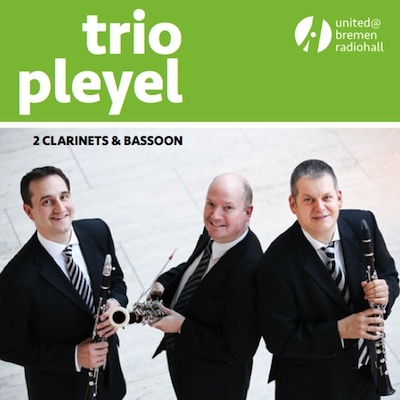 With the CD „2 Clarinets & Bassoon“ the trio pleyel aims to document a small part of the repertoire for two clarinets and one bassoon and bring it to the public, a repertoire that is waiting to be rediscovered.